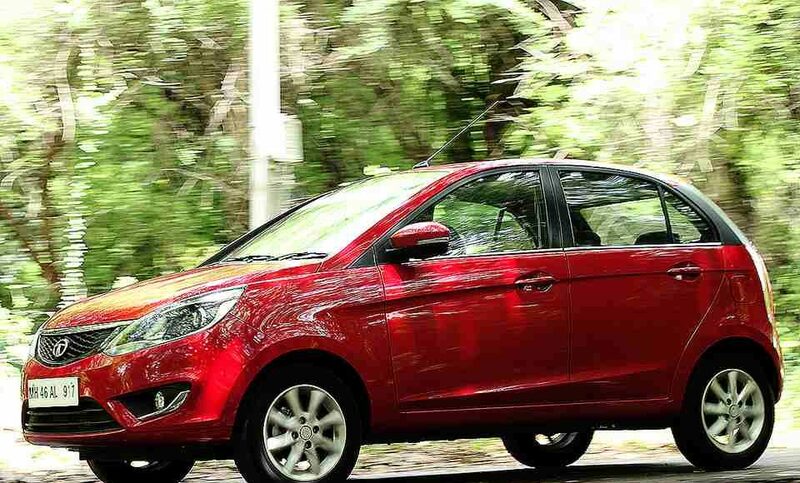 First unveiled in Delhi Auto Expo last year with larger sibling ‘Zest’, Tata Motors launched all new ‘Bolt’ earlier this year with the award winning engines, 1.2-litre ‘Revotron’ turbo-petrol and Fiat sourced 1.3-litre diesel engine. 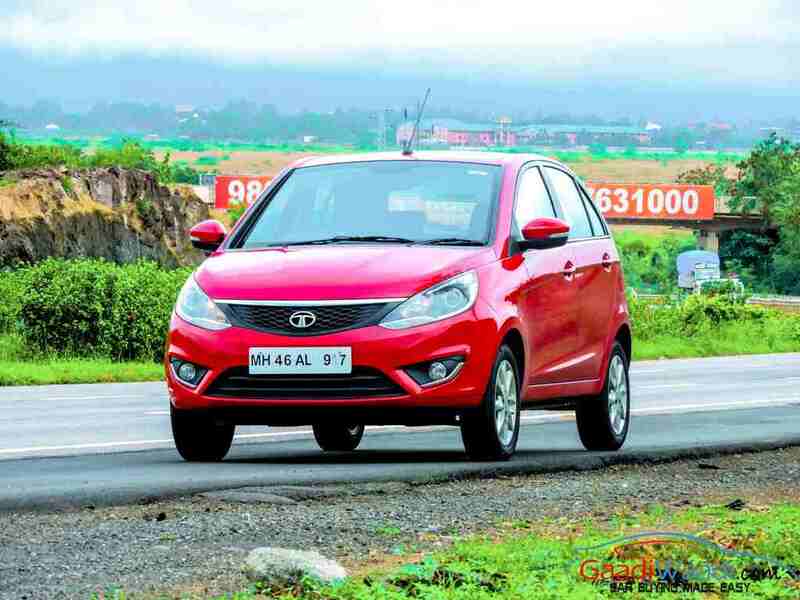 After Criticized for many years, Zest and Bolt is just the beginning of a new era of passenger vehicle from the Tata Motors under the ‘Horizonext’ strategy. 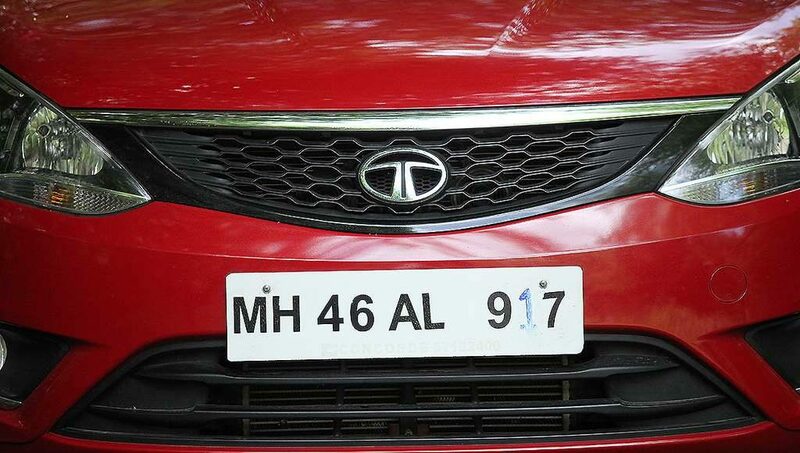 Tata Motors recently launched Nano & Safari Storme under the ‘Horizonext’ and will bring more cars including the Aria replacement ‘Hexa’, kite hatchback and Kite sedan soon. 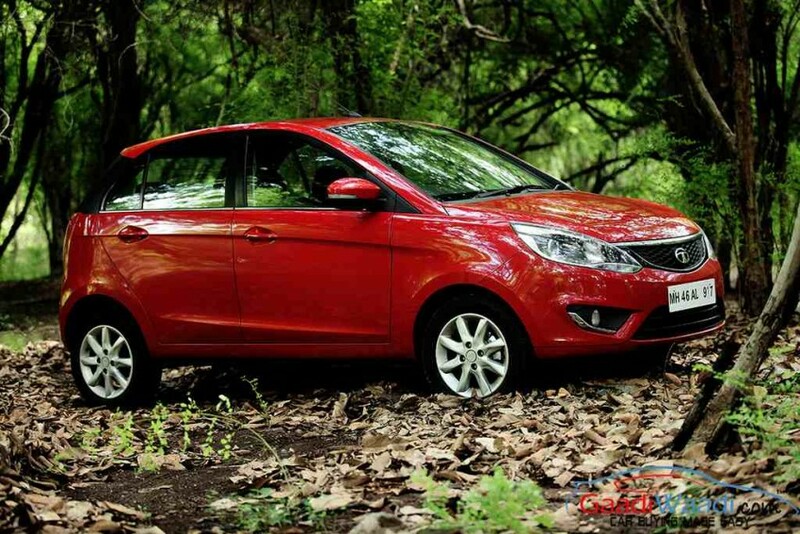 Tata Motors is all set to restructure it’s brand image, Zest and Bolt is just the step forward. 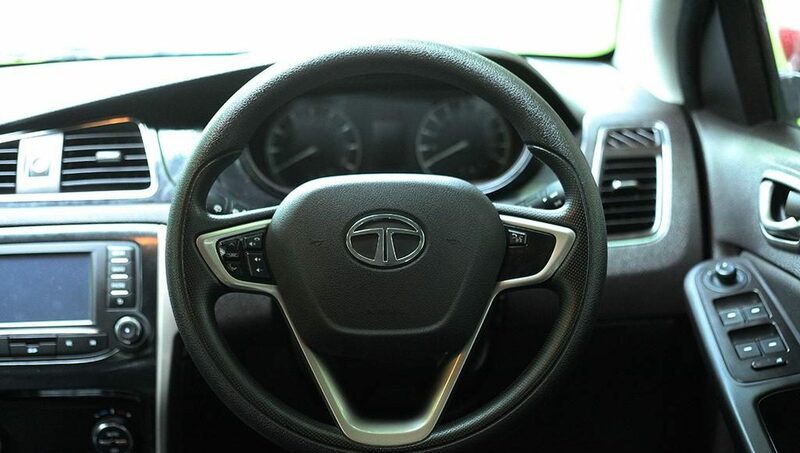 The beginning of new era of Tata Motors is not just based on the looks and styling of the vehicles but also the revolutionary changes in management, technology, engines, customer experience, buying experience and followed by technology-intense after market service support. 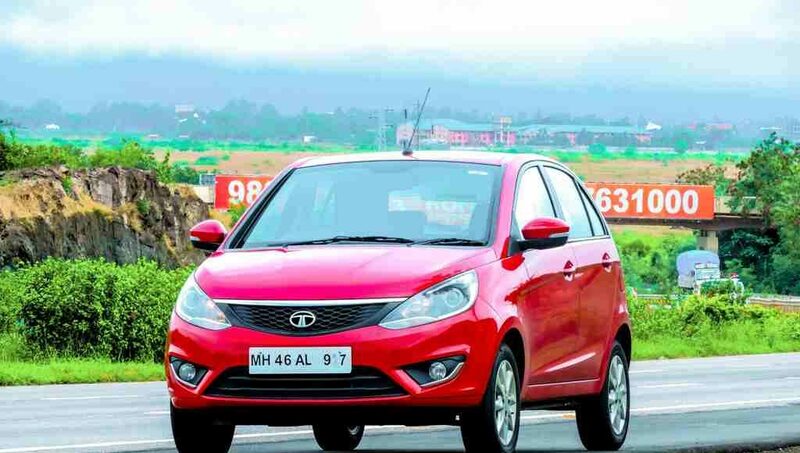 Tata Bolt is based on updated platform of Vista X1, it’s dimension is same as Vista except it’s length which is 30mm more but it’s width, height and wheelbase are identical to Vista. Despite the many similarities with Vista, Bolt styling is very different except the glasses. 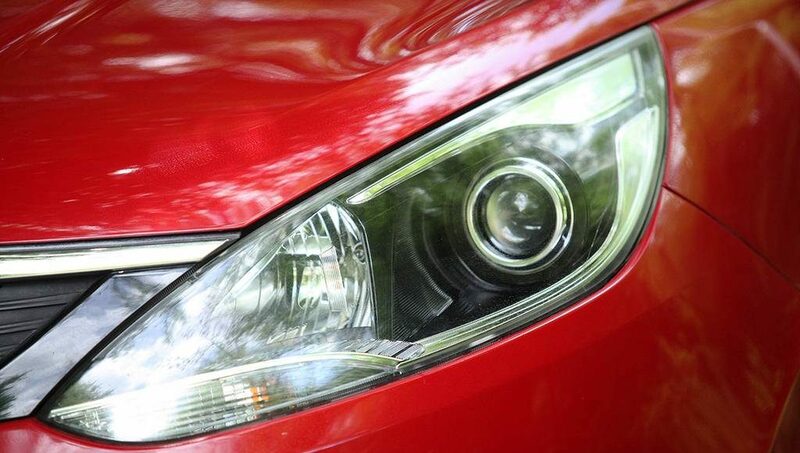 Tata Bolt nose is very identical to its sibling ‘Zest’ but still there are many differences between them, Tata Bolt headlamps are smoked out gives sporty looks and is the only hatchback in the price range comes with Projector headlamps, but fog lamp mounted DRL’s dropped from Bolt. 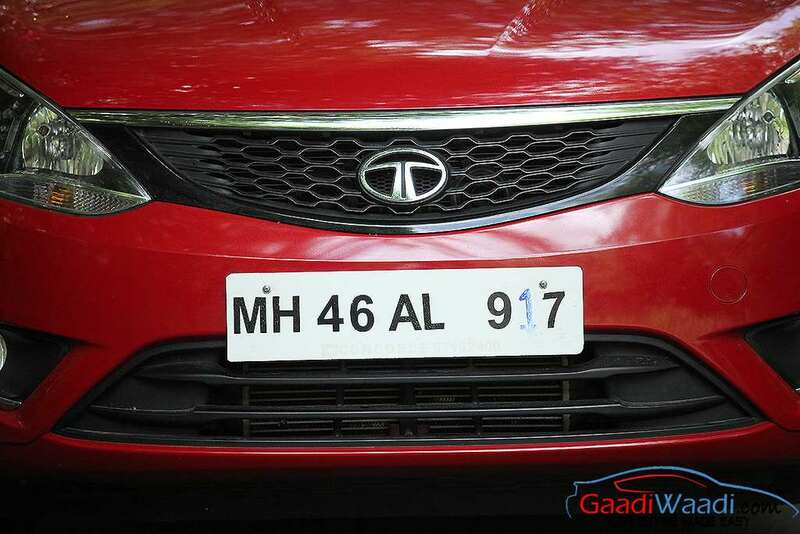 The front gets the dual tone bumper, unique humanity line, piano black finish accompanies the Tata signature grill, which is matured and hence pleasing at first sight. 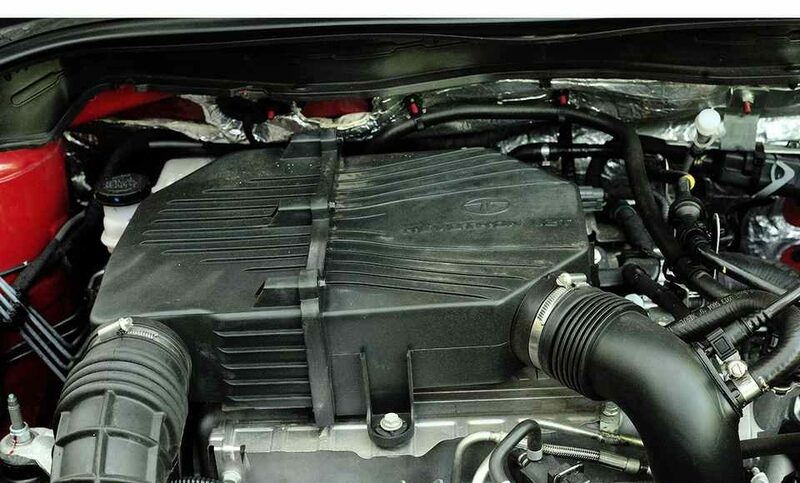 Power Bulge on the bonnet gives athletic appearance. Coming to side, this is where it looks more similar to Tata Indica and designer darkened the C-Pillar with matt finish and texture design over it to give a fresh look, but it still resembling to the older car. However, Floating roof with Integrated sporty rear spoiler improving its aerodynamics for better stability at high speed, looks sporty too. 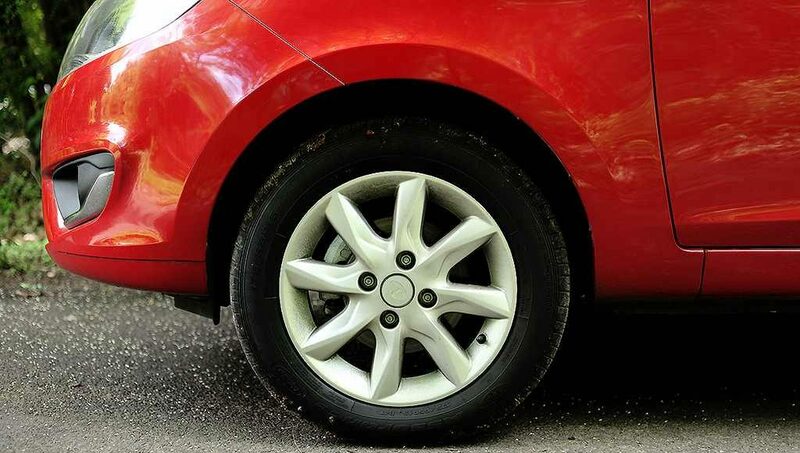 Tata Bolt XT is offered with 8 spoke alloywheels. At the rear, bumper is dual tone as of front, number plates moved to the tailgate, boot-lid is shorter and all small chrome strip inserted compare to Zest. 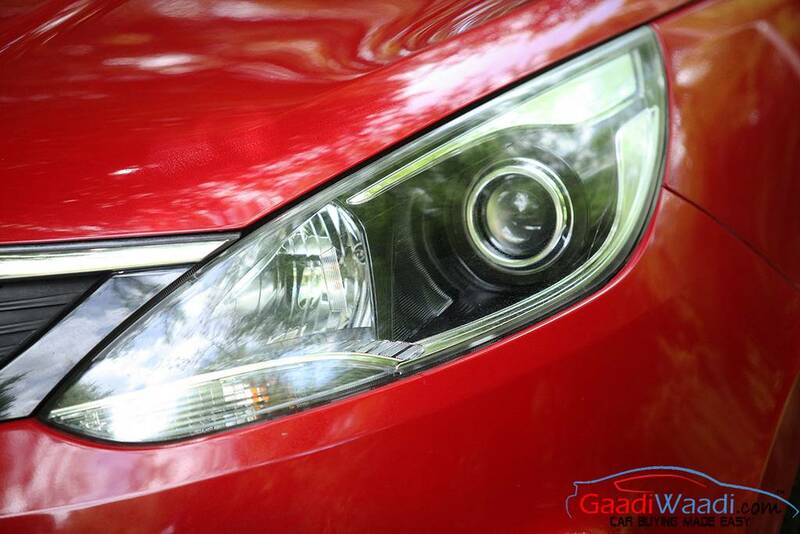 The glass area is smaller, but in sync with the hatchback, LED high mount stop lamp is there in top 3 variants. 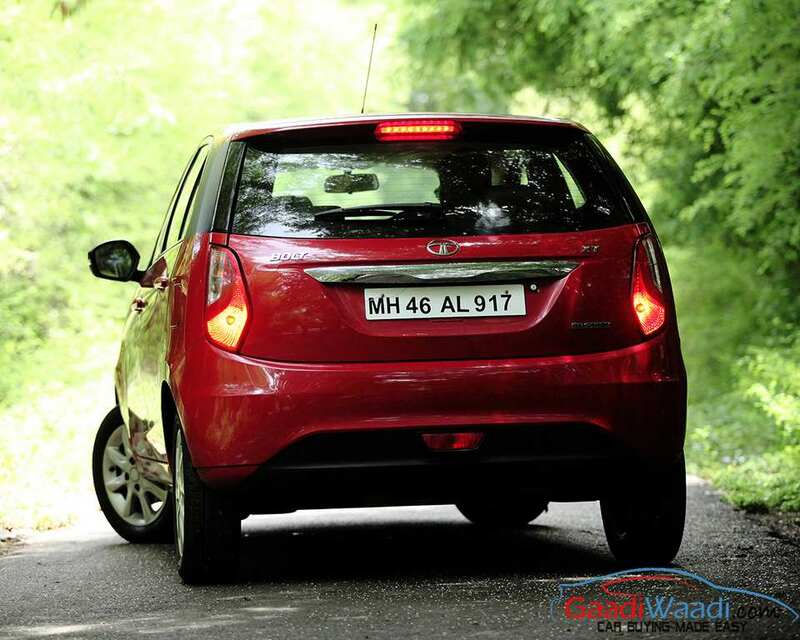 The flame shaped tail-lights sleeker and sportier, but they are too small compared to Vista. We wish these had LED’s to sweeten the deal. Bumper is well designed with the lower part have housing the rear fog lamp. 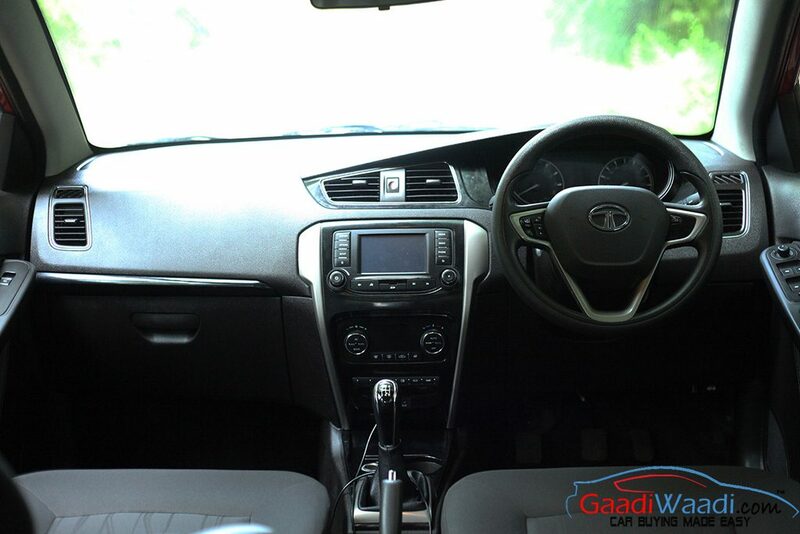 Step inside and you’re greeted with the best part of the Car, one of the most comfortable hatchback with good seat cushioning gives you a comfortable drive, all black interior, which instantly makes the cabin look sporty. 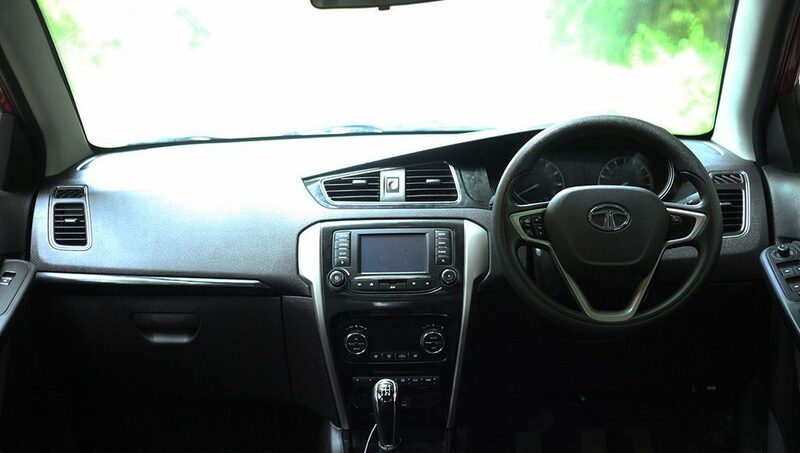 The design of the dashboard is similar to the Zest but all black does look pleasing to the eye. The quality of dashbaord is excellent compare to predecessor, Center console is well integrated with silver accents on the side, making it look like a waterfall unit. 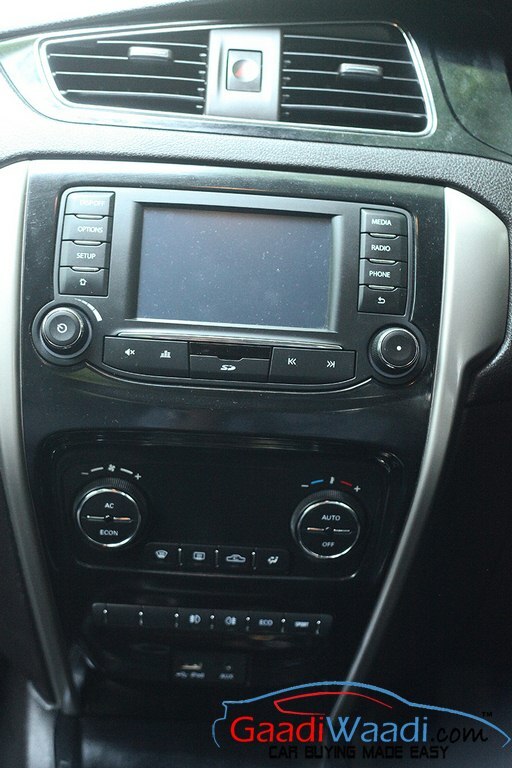 Chrome accent over the glovebox is a cool idea, glove-box is fairly large and accommodates a lot of your clutter. Fit-finish is really good. Space in the front and rear is in abundance. 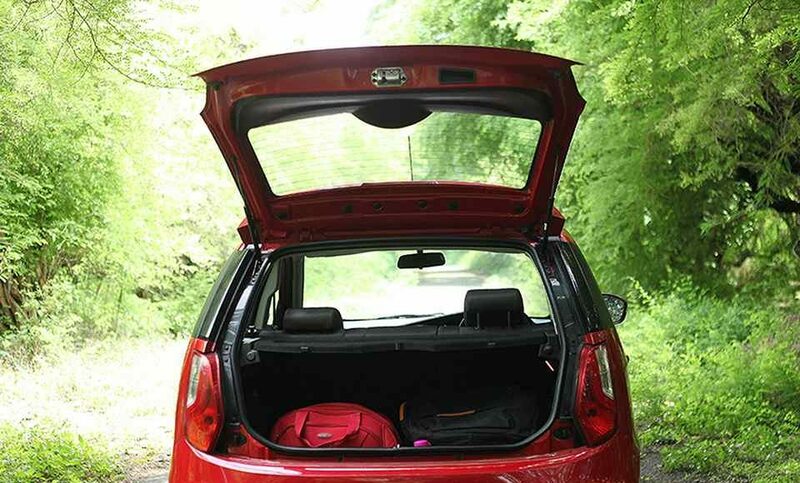 Leg, knee, head room is class leading and shoulder room is best in class, which means this is proper five seater hatchback. Seats in the front and rear are both supportive. Huge glass area means that there is no claustrophobic and ambiance in the cabin, feels airy all the time. 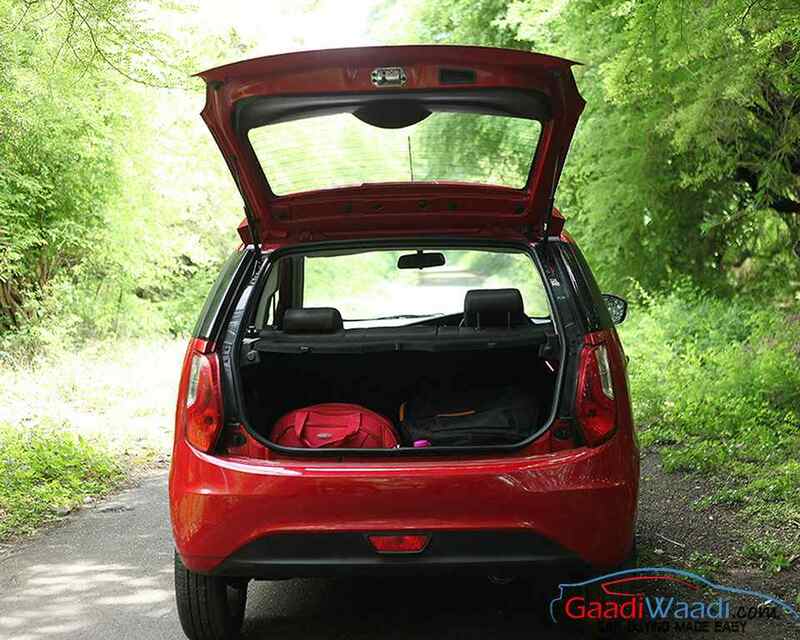 Boot space of 210 litres isn’t class leading, but the layout is WAY better than the segment sales leader, the Maruti Suzuki Swift. 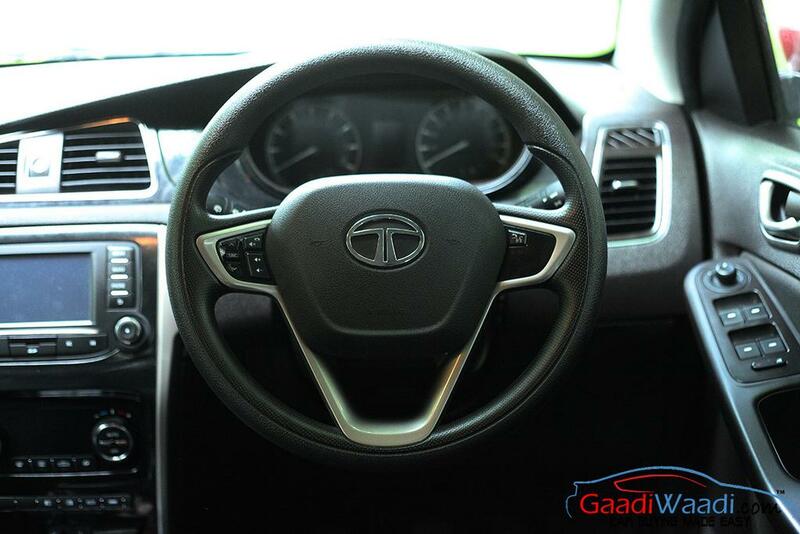 Tata Bolt comes with Superb 8 speaker Harman Kordon Connect Next touchscreen music system, smartphone enabled navigation with mapmyindia™ maps, video playback and image viewing option on the touchscreen via usb and sd card. Bluetooth, Aux and USB for audio is also available. Voice command recognition to make calls, change tracks, control AC. Incoming sms notifications and read-outs. Surround sound effect with 4 speakers & 4 tweeters has been possible. The steering wheel is an all new unit is good to look and hold, comes with audio and phone controls on them. 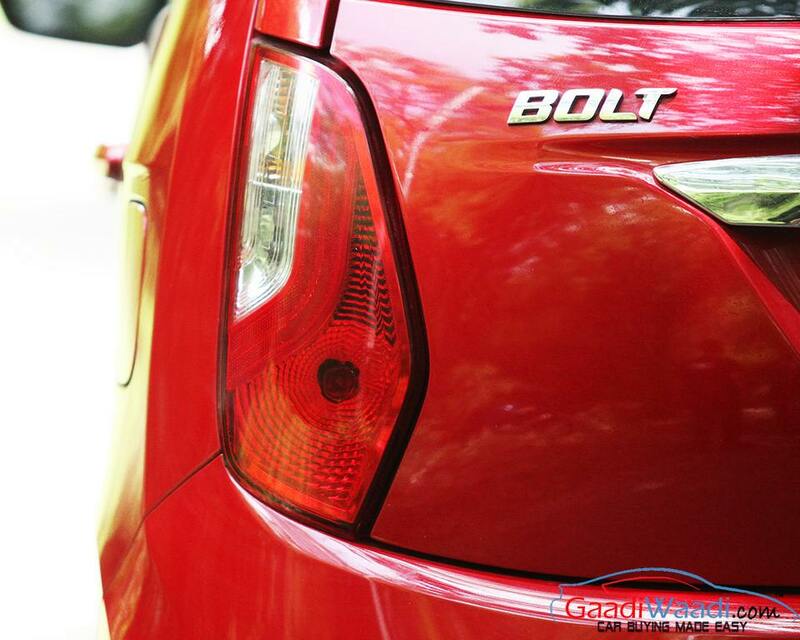 Fully Automatic Temperature Control, Foldable key, Driver seat height adjustment, Boot lamp, ORVM with LED side turn indicators, projector lamps are some premium features available on the Tata Bolt. Speed sensitive auto volume control, digital fuel gauge, driver information system with in-gear and shift recommendation, distance to empty and ambient temperature indication are all part of the instrument cluster. Fonts of the instrument cluster could have been better. However, the best part is when the needle turns red when you approach redline. Power tapers off after 5000 RPM suddenly and it revs slowly till redline too so there is no excitement at higher RPM’s for Petrol addicts. No sudden jolt in power delivery, but its slightly noticeably around 2500 RPM mark when the turbo fully spools up. In Eco and City mode the engine is similar in nature and is very linear. Push the sport button and you will get some boost in power. 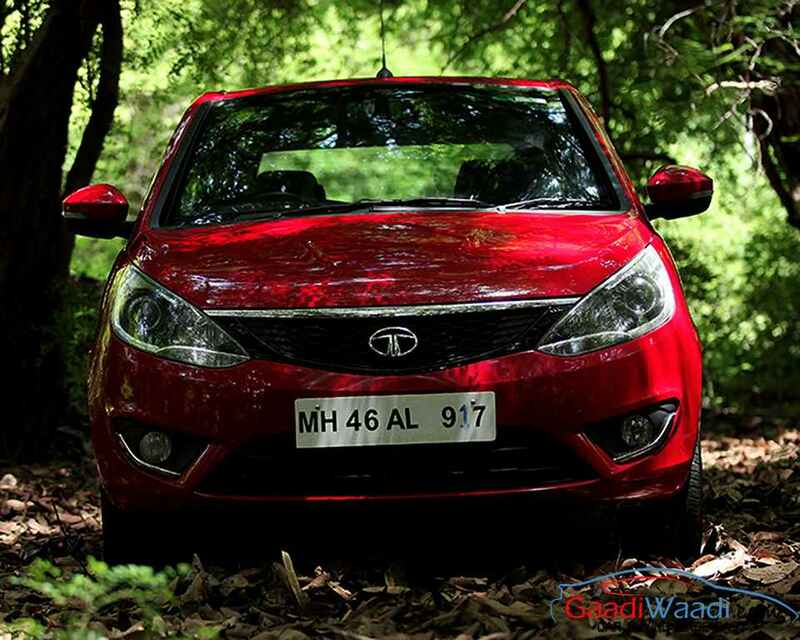 The throttle response is immediate and it feels that more fuel has been pushed to deliver more power. 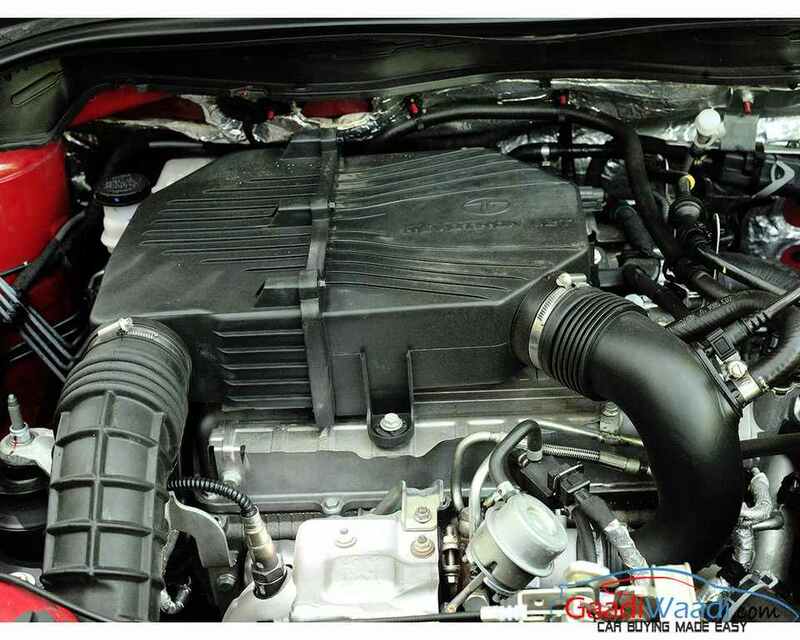 NVH levels are extremely good and you can barely hear the engine at idle or while in traffic. Low-end torque and mid-range is very impressive and car is perfect city car as it does not require much gearshifts to amble around in town. All of this is courtesy of the flat torque curve this turbocharged engine have. Clutch is light and gearbox the things that are putting the power to the wheels is slick and smooth unit. Throws are slightly long and a wee bit clunky over the Zest, which had very watery shifts. We loved the Bolt’s throw by the way as they feel more precise when pushed into the slotted gates. 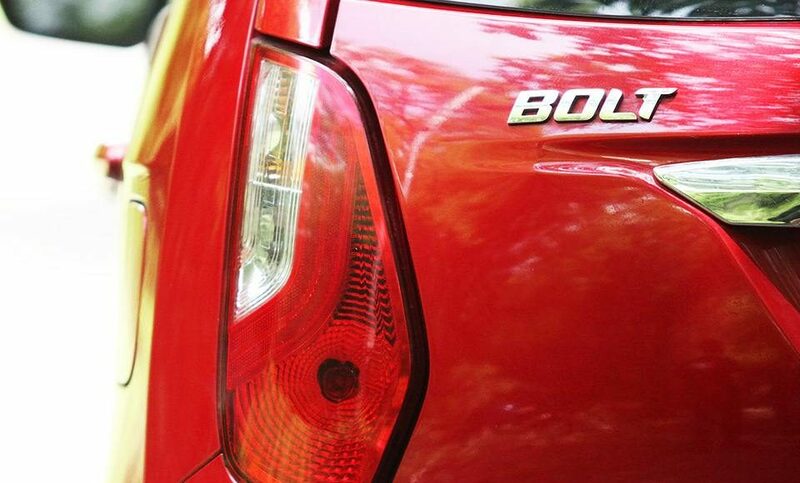 Fuel efficiency is also Bolt’s forte because we got 11.6 km/l despite we tested the car upto 150 km/h mark, 120 km/h is our average speed on the 330 km long test drive. Yes, with careful driving we did get 13.1 km/l, but that was way too careful and requires special attention on the instant fuel economy bar. 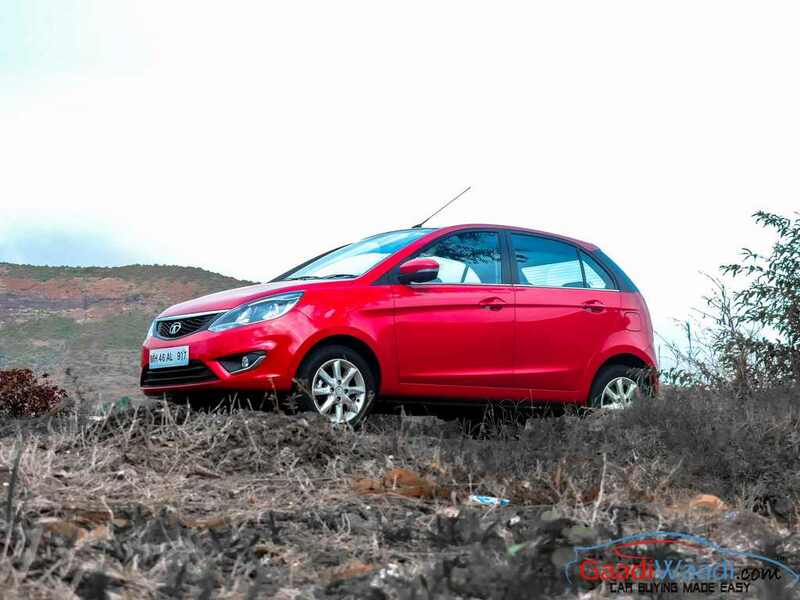 If we compare it with rivals, it is not up to the mark, reason of these downsides is the heavy kerb weight that is only 30 kg lighter then Zest and 110kgs heavier than its competition that hampers the performance and fuel efficiency. Both these are just about adequate when it comes to figures. 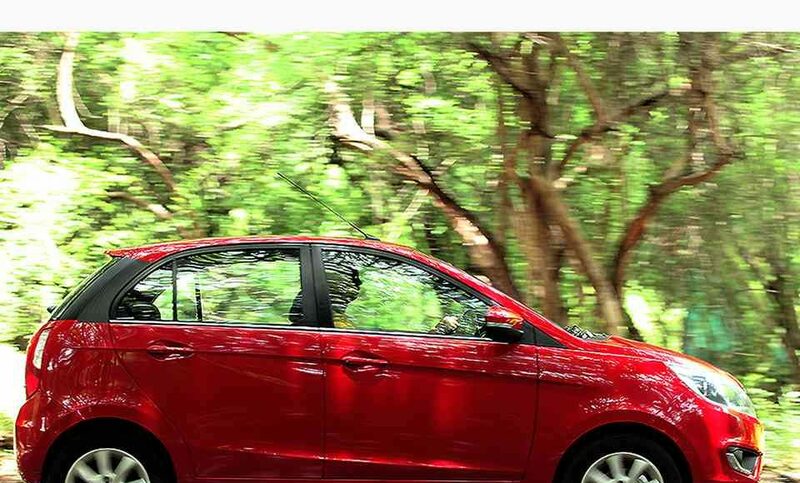 Yes, there is ECO modes to help you out, but despite being Eco mode and shifting early as possible we got the little difference and final fuel efficiency figures lies between 11.5 km/l to 13.5 km/l on our test. Tata Motor says they completely reworked the chassis and suspension of the Tata Bolt to make it more fun to drive compared to predecessor. Suspension is stiffer and so is the chassis. Dual-path McPherson strut with coil spring with an anti-roll bar at the front and Twist beam with coil spring and shock absorber at the rear are units, which are working hard to keep that kerb weight under check. Ground clearance of 165, but still the car looks as if it has 200mm of it. The stance of the car is quite high and hence we did experience quite a bit of body roll in the corners, all though very well controlled. Under-steer was witnesed, but that’s not too much. Obviously the full result comes on a track where you can push it really hard and not on public roads. Ride quality though is fantastic and glides over a bump at any given speed and there is no vertical movement inside the cabin, front or rear. High speed stability is really good and car is rock solid even at speeds of 150 km/hr. 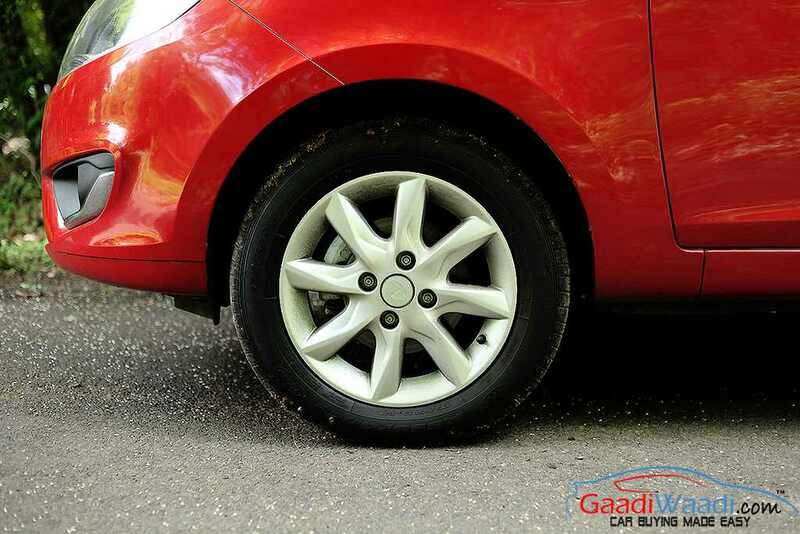 Grip levels are good and so is the tyre compound, which makes it quite confidence inspiring to push before the body roll starts to annoy the enthusiast within you. The steering is good to hold and when driving enthusiastically, you notice that the steering is quite precise to input, but meanwhile it isn’t feedback rich. On the highway, it does weight up well, but off center it isn’t quite well calibrated. Brakes are good with disc at the front and drums at the rear, but the feel at the top of pedal could have been better. We think a new set of fresh pads on our car would have gotten us what we wanted from the car. 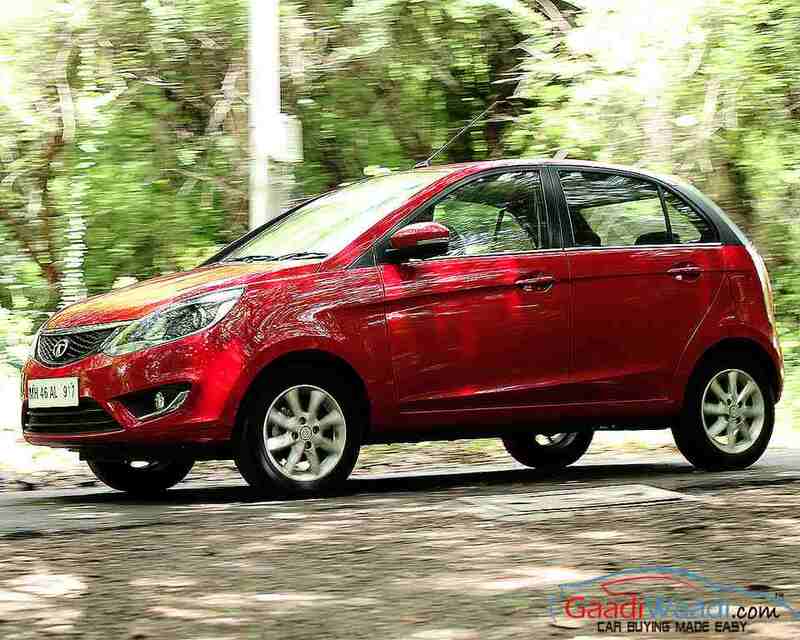 Tata Bolt is the perfect city car. It’s extremely spacious, terrifically refined and offers acceptable fuel efficiency and driveability. 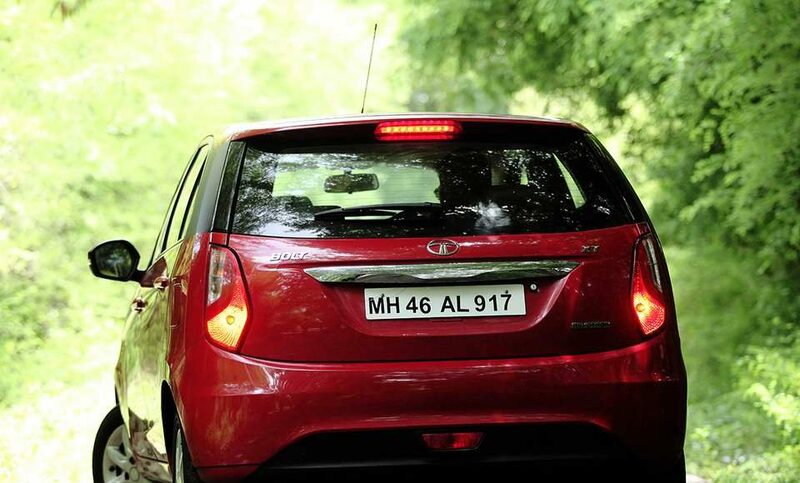 Highway manners are good too, but the lack of best in class fuel efficiency hampers the fun of long distance driving. Diesel should do the trick here though. 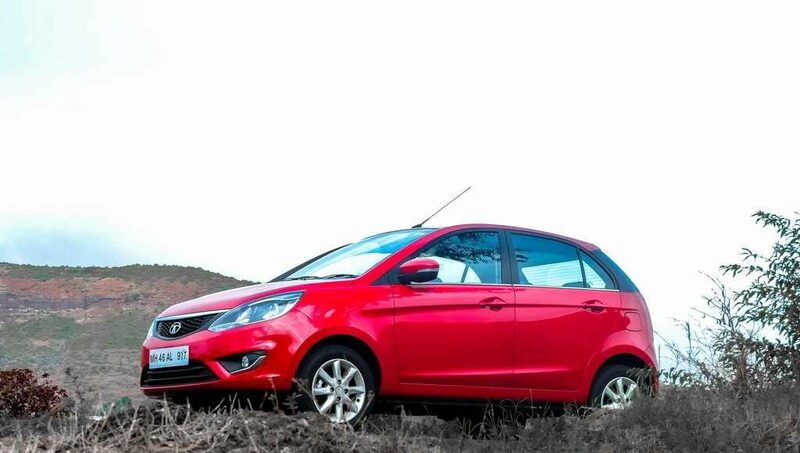 Coming at a price of slightly above its rival like the Hyundai Grand i10 and Maruti Suzuki Swift, Tata Bolt certainly offers more than the competition but only 30K cheaper than it’s sibling ‘Zest’. 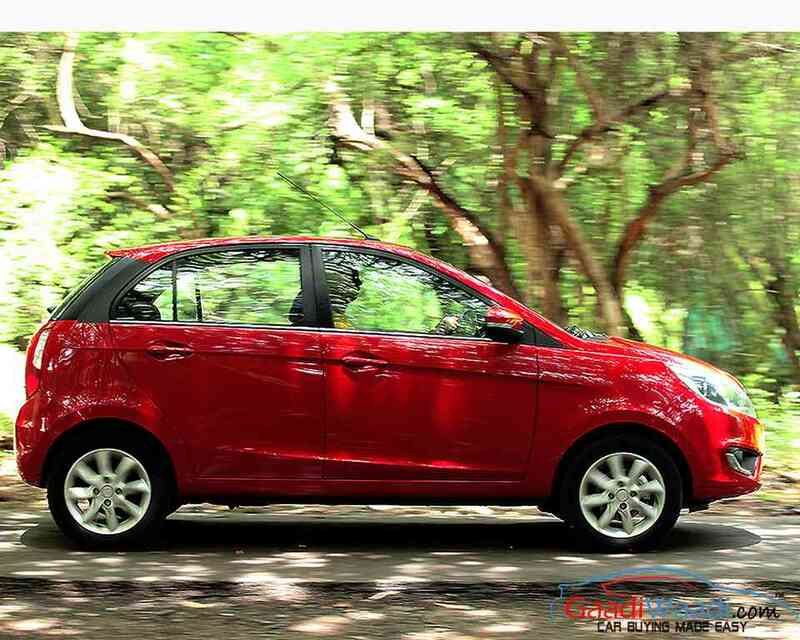 Dynamics are better than the Grand i10 and there is more equipment and space than the Maruti Suzuki Swift. 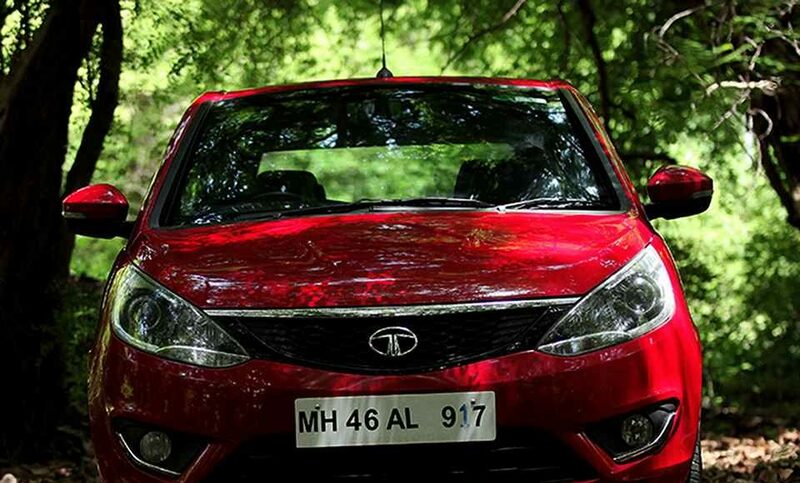 Tata has taken care of the competition, but not the one that exists in its stable. Tata Bolt makes a compelling case for itself and should woo budget conscious buyers to its brand new showrooms.